Villarzel: Country holiday accommodation at Villarzel ! South-west facing dairy with view over the countryside and the Jura Mountains. Very quiet situation in the heart of French-speaking Switzerland within easy reach of the lakes of Neuchèatel and Morat, and a thirty-minute drive from the Alps and the Jura Mountains. Wir haben den Wochenend-Aufenthalt in Villarzel sehr genossen. 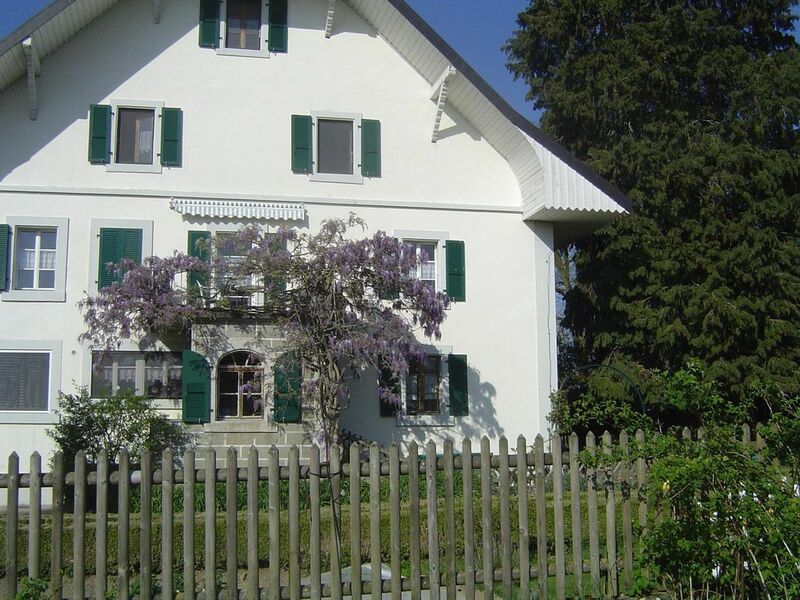 Very nice house, excellent location, very nice and helpful owners..
We had a lovely stay on the farm and packed a lot into our two weeks in Switzerland. We really loved watching the cows being milked towards the end of our stay. The apartment itself was very nice, but the best part was easily the little balcony where we ate our breakfast and dinner most days. The views were lovely, and it was so relaxing to eat while listening to the cowbells as the cows grazed in the field. The kitchen was well equipped as was the rest of the apartment. The only downside was the amount of flies, but that is what you get from being so close to cows, so we made good use of the two fly swats provided, which our 5 year old son had great fun with. Some lovely memories, thank you for a great stay! "This apartment was very comfortable, the beds are cosy. The owners are very nice. Thank you the perfect vacation." Unterkunft sauber, ruhig gelegen, gemütlich und mit traumhaftem Blick ins Tal. Sehr nette Vermieter mit guten Tipps für das Umland. Villarzel is situated at a fifteen minute drive from the A1 motorway (exits Payerne or Estavayer) and from the A2 motorwan (exit Matran). It is bitween Granges-Marnand and Lucens, to the east of Granges-Marnand. On reaching the Marnand roundabout follow the sign marked Romont. Villarzel is the first village on the left. The farm is the first on your right as you approsch Villarzel. A big firtree stands in front of the house. (Text automatically translated) Do not forget to take some food for the first day, in fact, Switzerland stores are not open on Sundays! Nearby restaurants, directions and details available in the apartment.